Master Zhiyi is the Tiantai Mountain meditation master, exegete, and teachings-school founder. 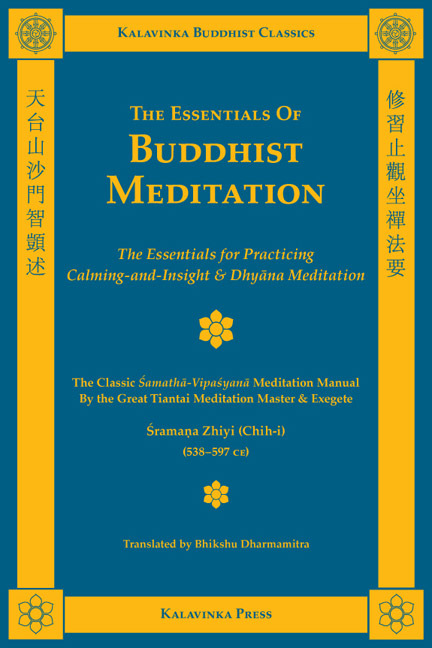 His Essentials for Practicing Calming-and-Insight and Dhyana Meditation is a calming-and-insight (samatha-vipasyana) meditation manual deeply rooted in the early Indian Buddhist meditation tradition. 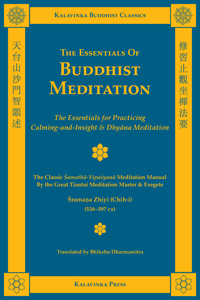 It offers probably what is the most reliable, comprehensive, and practically-useful Buddhist meditation instruction currently available in English. Translation by Bhikshu Dharmamitra. Includes facing-page source text in both traditional and simplified scripts. 236 pages, paper, 6" x 9"
Just click this PayPal button to donate $10 via credit card transaction or PayPal Account transaction. After completing the donation, you will automatically be taken to the appropriate Kalavinka ebook download page.